Під час виступу завідуюча редакцією «Реабілітовані історією» Обласного центру пошукових досліджень, автор статті «Листи з минулого» Теряник М.О. акцентувала увагу присутніх на листах жителя села Галіцинове Олександра Селіванова до своєї сестри Фекли Селіванової під час перебування на примусовій роботі в Німеччині. Директор Баштанського краєзнавчого музею Требух О.О. зупинився на спогадах та листах учасників підпільно-партизанського загону ім. Щорса в м. Баштанка. Миколаївській області на 2017-2020 роки. Весь наклад книги буде переданийдо бібліотек, навчальних закладів, громадських установ й організацій длянаукової роботи, а також для використання під час проведення заходів звійськово-патріотичного виховання молоді. On March 21, in the department of documents and scientific researches on regional studies, a regional scientific library hosted a presentation of the 16th edition of «The Book of Memory of Ukraine. Mykolaiv region». The publication contains articles, essays by Mykolaiv scientists: Pogorelov A.A., Makarchuk S.S., Teryanyk M.O., Chernyavsky V.V., covering the events of the Second World War in the Mykolaiv region. For the first time, materials and documents on forced labor of the Mykolaiv Ostarbeiter at the shipyard Bremen from German archives are published. Participation in the presentation was taken by representatives of the regional council, Mykolaiv scholars, students. Deputy Head of the Mykolaiv Regional Council A.O.Krotov thanked the management and staff of the regional library for the achievements and effective implementation of budget funds and noted that during this difficult time the library is developing - new equipment (scanner) appears, repairs were made in the premises, the facade was renewed buildings Also, the deputy head of the area thanked the authors of the book for contribution to the historical heritage of the Mykolaiv region. 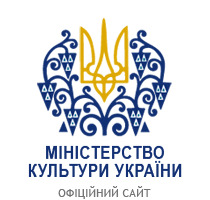 Candidate of Historical Sciences, Associate Professor, Head of the Department of Social and Humanitarian Sciences, separate unit «Mykolaiv Branch of the Kyiv National University of Culture and Arts», Head of the Regional Center for Research and Editorial Publishing, Makarchuk S.С. in her speech she focused on the main tasks put forward by the authors of his work - to show the terrible tragedy experienced by the Ukrainian people in those terrible times and to find out what was moving by the collaborators and what made them go for the betrayal of their homeland and what was the price of this betrayal. Head of the Mykolaiv City Department of the Ukrainian Union of Prisoners, Victims of Nazism, Pryadko M.V. thanked the authors of the book for research and publishing activities and noted that each year the number of former prisoners of fascist camps is decreasing. During the speech, the head of the editorial office «Rehabilitated by the history» of the Regional Center for Searches, author of the article «Letters from the Past», M. M. Garryanyk - he emphasized the attention of Aleksandr Selivanov, a resident of the Galitsinove village, to his sister Fekly Selifanova during his forced labor in Germany. Director of Bashtanka Museum of Local History Trebukh O.O. stopped at the memoirs and letters of the participants of the Shchorsa underground partisan squad in the Bashtanka city. The Book of Memory is addressed to scholars, students, teachers of universities, teachers and students of secondary schools, and ethnographers. It was issued at the expense of the regional budget with a total circulation of 550 copies in the framework of the implementation of the measures of the Comprehensive program of commemorating the participants of the antiterrorist operation, victims of wars and political repressions in the Mykolaiv region for 2017-2020. The whole copy of the book will be transmitted to libraries, educational establishments, public institutions and organizations for scientific work, as well as for use in conducting events on military patriotic education of youth.